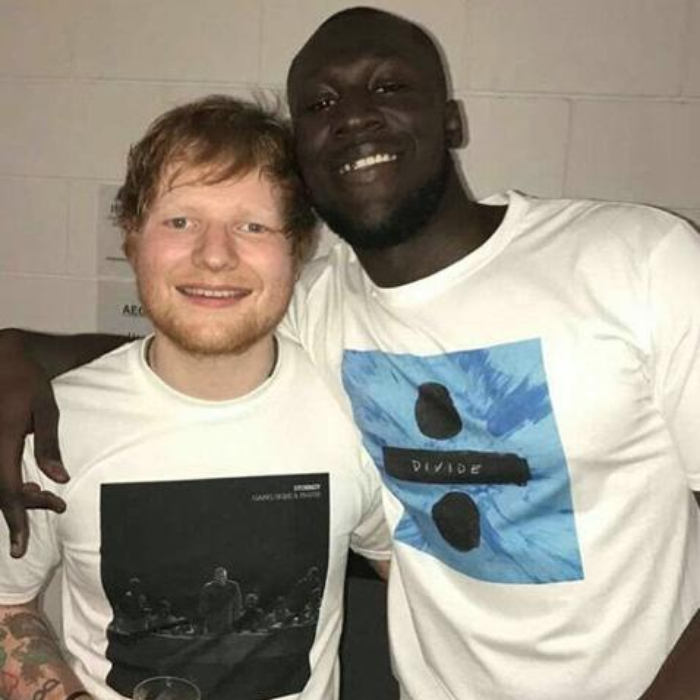 Ed Sheeran has been ruling the Vodafone Big Top 40 for weeks on end and now he's roped in his mate Stormzy for some glory too! When it comes to the chart in 2017, there has been just ONE week when Ed Sheeran wasn't at the top of the pile and that was the first week of January. So much so that his new remix with Stormzy knocked 'How Would You Feel' out of pole position yesterday. Download Stormzy and Ed Sheeran's epic 'Shape Of You' remix now. With just two singles left in Sunday's countdown, the Grime legend was up against fellow BRIT surprise single 'Something Just Like This' by The Chainsmokers and Coldplay for the top prize. For a moment, Stormzy wasn't sure he'd actually be walking away with the No.1 single, "That's lovely man. For a second there I thought you were going to say COLDPLAY - I was like, "what am i here for?!"" Adding "I don't even know how to feel - It's one of those moments you don't expect to be there. I don't even know how this has happened"